A September 2018 16-week randomised controlled clinical trial by the Physician’s Committee for Responsible Medicine1 looked at whether a plant-based high-carbohydrate, low-fat diet in overweight individuals would have a more beneficial effect on body weight, body composition and insulin resistance when compared with a standard Western diet. Controversy in the media is rife about whether or not a carbohydrate-rich diet is healthy, so will this research study help settle the argument once and for all? 75 participants were randomised to follow either a plant-based high-carbohydrate, low-fat (vegan) diet or to maintain their current diet. 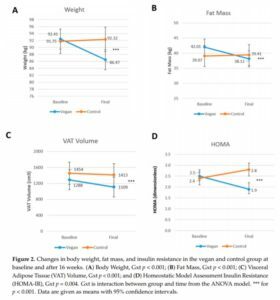 The intervention group was asked to follow a low-fat vegan diet consisting of vegetables, grains, legumes, and fruits, and avoiding animal products and added oils. 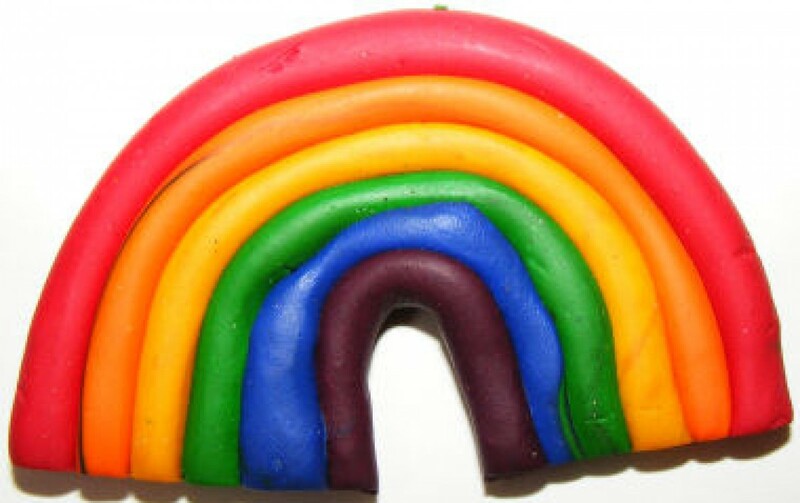 There were no limits on energy or carbohydrate intake. The control group participants were asked to maintain their current diets, which included meat and dairy products, for the 16-week intervention period. All study participants were asked not to alter their physical activity and to continue their preexisting medication regimens for the duration of the study, except as modified by their personal physicians. Measurements were taken before and at the end of the trial. The results can be seen in the charts below. Percent of Adults with BMI ≥30. 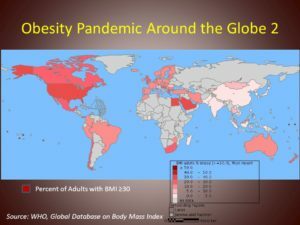 Source: WHO, Global Database on Body Mass Index. The World Health Organisation estimates that more than 1.9 billion adults worldwide have excess body weight 2 3 . Hence, obesity rates are rising rapidly. Since increased body weight is associated with a higher all-cause mortality 4 , it’s vital that sustainable and practical solutions are found. It’s pretty obvious to anyone who does a little research: poor dietary habits (such as high intakes of processed meat products and sodium with low intakes of fruits and vegetables) are one of the leading contributors. This single avoidable behavioural factor contributes to huge numbers of deaths through a range of chronic diseases – including around half of cardio-metabolic deaths in the United States alone 3 5 6 . In contrast to the above, plant-based diets have been shown repeatedly to represent an effective strategy for improving nutrient intake 7 , being clearly associated with decreased all-cause mortality and decreased risk of obesity, type 2 diabetes, and coronary heart disease 8 . Above, I asked whether this study would settle once and for all the question of whether or not a carbohydrate-rich diet is healthy. 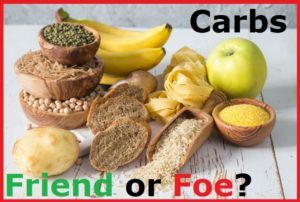 As long as the carbohydrates are what’s found in wholefood plants and not in processed junk food, it appears to me that this, as well as many other studies mentioned above, do indeed favour a positive answer to this question. Naturally, however, the industries benefiting from producing, advertising and selling processed junk foods and animal products will continue in their attempts to deny/ignore/marginalise the facts with the aim of confusing the public. That, unfortunately, is the way business is done. 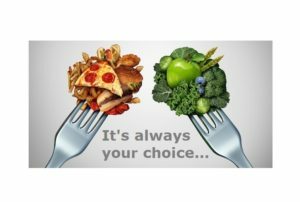 But each of us can take responsibility for what foods we consume, and thus exert complete dietary control to help ourselves avoid so many chronic diet-related diseases. Next Next post: Cow’s Milk Increases Health Benefits of Coffee, Tea and Berries?